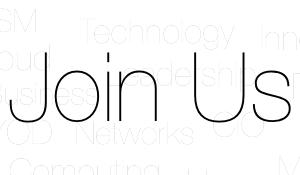 Digital disruption is omnipresent, get on board or get thrown off the track. Digital is no longer a purview of only Banking, Insurance, Healthcare or Retail. The Restaurant industry is having pressure from multiple directions. Today’s consumer expects fresh food, whether it is in season or not, with an exotic dining experience. Successful restaurants recognize that the easy path to their customers’ stomachs begins in their minds. They need to grab customer’s attention and entice them with a memorable experience in order to trigger repeat visits. Chatbots: Restaurants are using virtual assistants to respond to customer inquiries and to process and customize customer orders. Taco Bell, Pizza hut have adopted chatbots to automate ordering process from a social media platform. Robots – Restaurants are using AI-driven robots to increase capacity and speed of food preparation and delivery. Recommendation engines – Developers are designing applications which use AI to help consumers choose meals & suggest foods based on their eating preferences. Kiosks – Restaurants are integrating AI-driven self-service Kiosks to reduce customer waiting time and enhance the customer ordering experience. Digital supply chains to accurate demand forecasting, inventory optimization, and cost reduction. Today almost every consumer is making dining decision on their smartphone. They have tried new menu item based on the mobile ad. Mobile payments have become the norm now in this industry. Customers would like to order quick meals via mobile and want to use mobile payments. McDonald’s was the first store to accept Apple Pay. Starbucks is a leader in digital transformation. Using more than 50mm Facebook fans & over 15mm Instagram followers at their disposal they mastered the social media engagement. First, they created an app to pay for coffee and food in their restaurants. 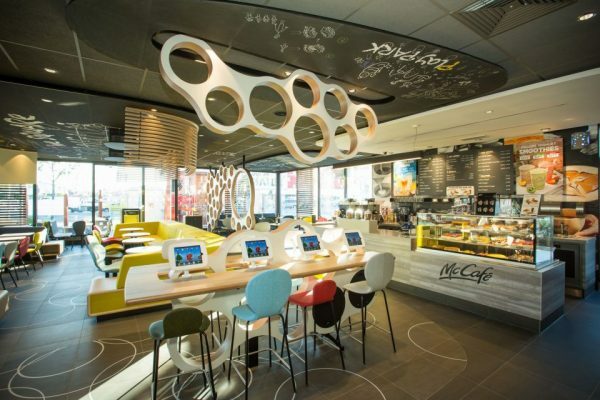 Then they added the loyalty program, starting to craft hyper-personalized offers and experiences for their 24-hour connected customers. The company also developed new digital services to be enjoyed in their physical stores, achieving a highly praised omnichannel approach. 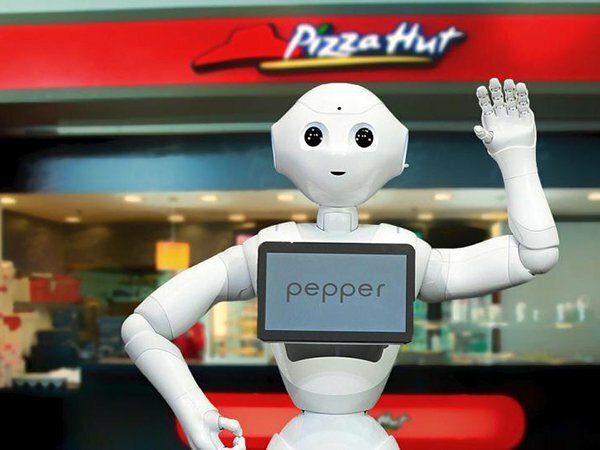 Pizza Hut has started an order and payment-enabled pepper robot. Customers can now have a personalized ordering, reduce wait time for carryout, and have a fun with the frictionless user experience. TGI Fridays, Wendy’s and other big names have all adopted digital technology to lure their customers. OpenTable, GrubHub, and Zomato are some of the latest apps showcasing nearby restaurants with high-quality pics, presenting a menu with exotic pictures, price, ratings etc. you can also get offers, deals instantly. The digital technology available to restaurants has streamlined the lives of restaurant owners much like smartphones have bettered our daily lives. Digital has entered the restaurants and food industry through the front door and brings many exciting trends. As consumers expect Apple to come up with a new iPhone every year that makes the earlier model obsolete, similarly they want fresh ways of serving food with fantastic dining experience which is made possible by Digital disruption. Next story Quocirca UK ICO Watch: how likely is the ICO to clobber your organisation for a maximum fine?